The Wishing Tree is a magical tree from Hindu mythology. 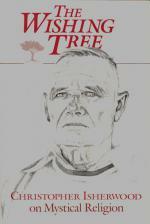 It is a grand wonderful tree with branches that reach to the heavens and roots that encompass the whole world. It has awesome power, yet it is terrible, for whoever stands under this tree eventually gets what they desire. Few people realize that this tree resides in our heart. Instead ,our main awareness is that we live in a crazy world with a God that often seems cruel. Can we relate the misery of life to a God we're supposed to love? 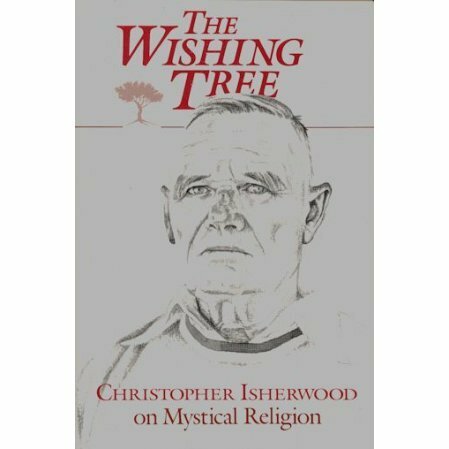 Gifted novelist and playwright Christopher Isherwood examines the whole question of religion in this collection of short articles that explore Vedanta philosophy in a personal way. He explains an Indian philosophy that sees God at the heart of everything, good and bad. The book is written for the intelligent person who wants to be honest with himself or herself and demands that religion be rational, sensible yet feel right to the soul. Can religion be rational and sensible for those of us who can't manufacture "faith?" Read how we can use our intelligence fully in the quest for meaning, yet expand our heart to new heights of creativity and love. Price reduced since paper is starting to yellow.